With train tickets in hand we arrived at Hue’s train station in good time for the 10.39 service to Danang for Hoi An. At 10.39 there was no train in sight and it was only an hour later that a train pulled into the platform for Danang. If you need to catch a connecting train in South East Asia you need to give yourself a minimum five hour window to ensure you make it in time! The train we got on had come from Hanoi and its final destination was Saigon in some 30 hours. Some crazy people actually do the 36 hour journey in one leg and had enough food with them for a couple of days. I don’t know how they do it though because I was feeling very, very queasy just after four hours on the train. It was a very bumpy yet scenic ride. 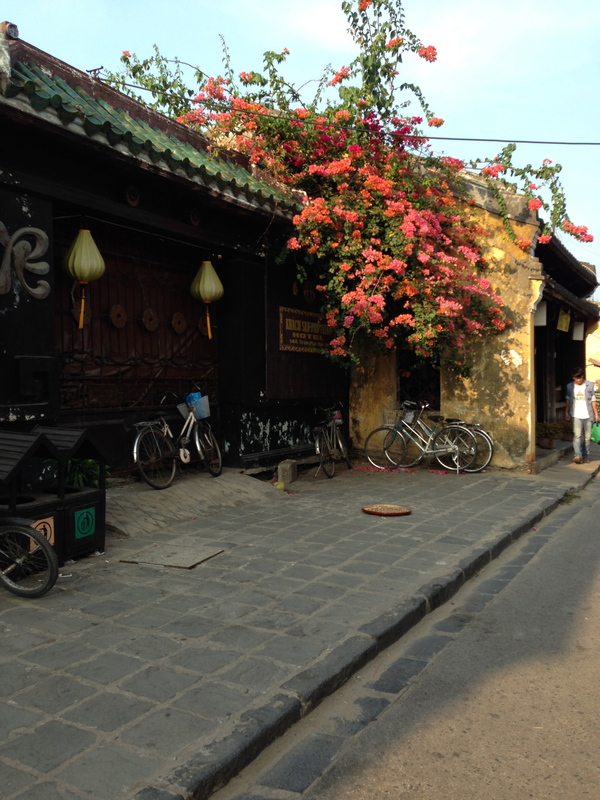 Where Krabi had massage parlours, Hoi An had tailors, and within seconds of walking out of our hotel we were hassled by a random lady on a motorbike trying to sell us a suit. 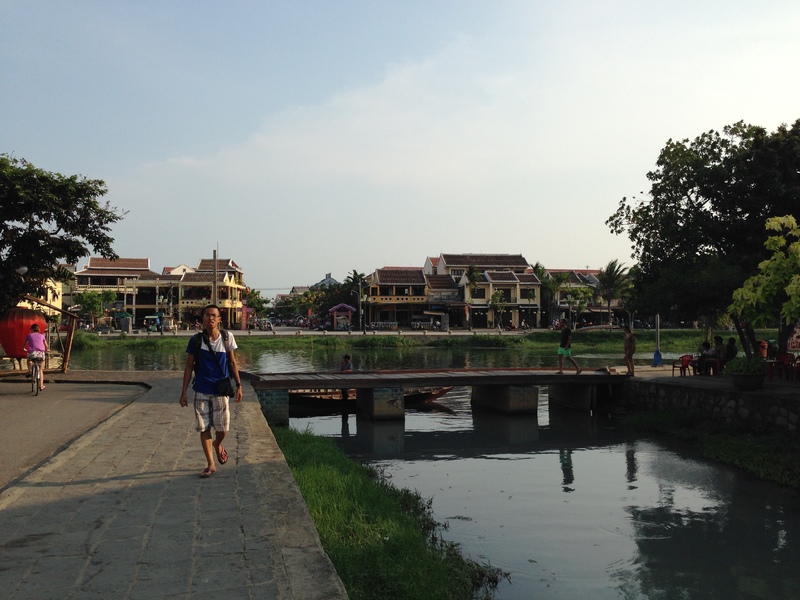 We then spent the afternoon walking around the charming and picturesque town of Hoi An. 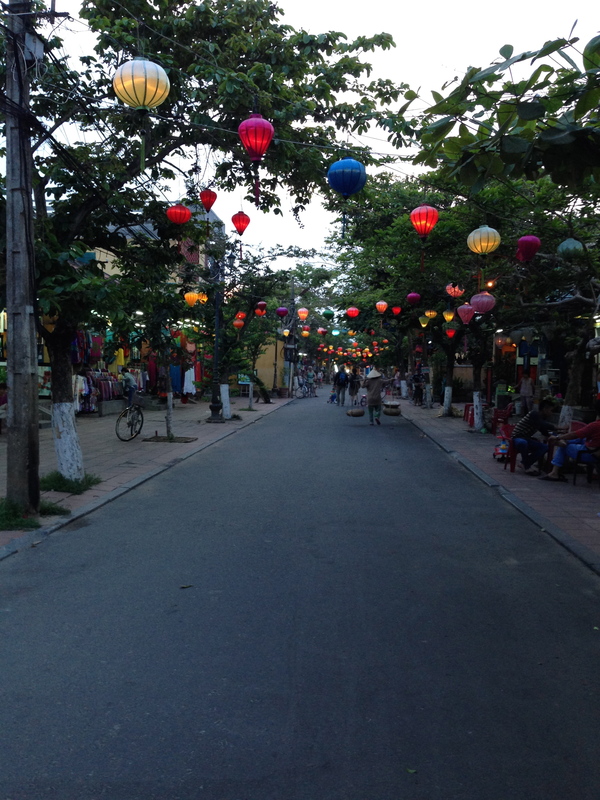 It was quite different to anything we’d seen in Vietnam with its brightly coloured buildings and streets lined with glowing lanterns come nightfall. 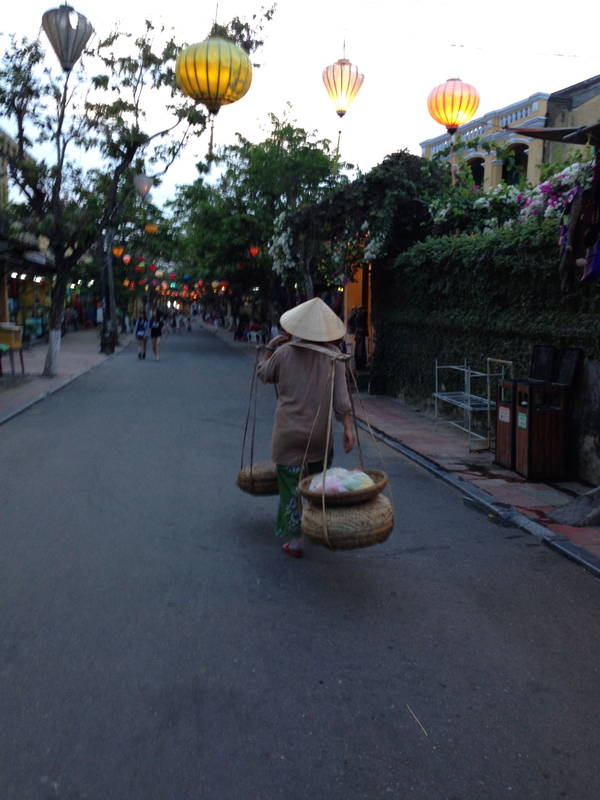 Plus, the polluted air of Hanoi and motorbikes was nowhere to be found. 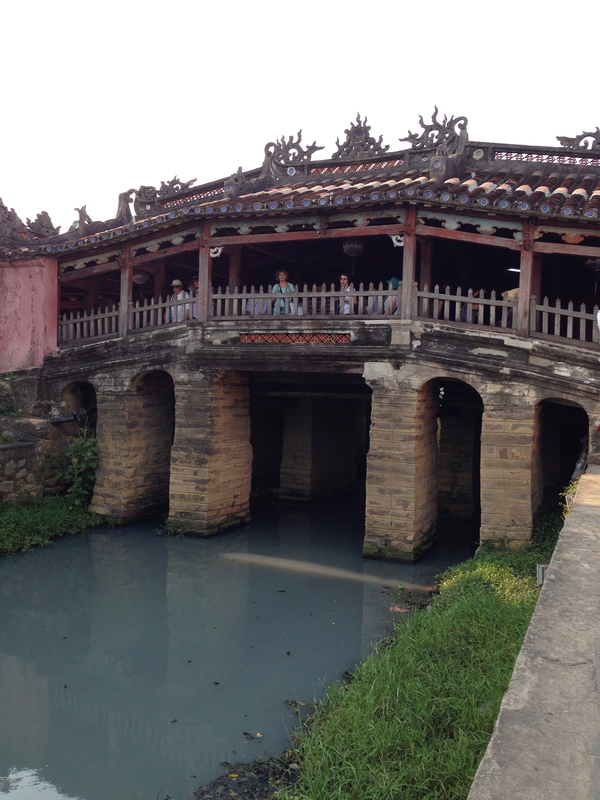 Hoi An is a simply stunning little town. 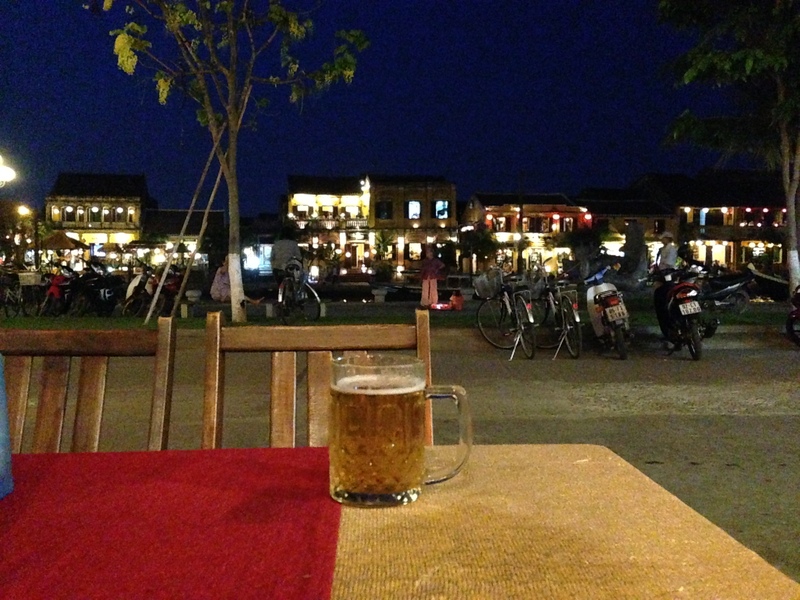 We stopped for dinner at a restaurant by the riverfront and enjoyed glasses of what they call ‘fresh beer’ or ‘bia Hoi’ in Vietnamese for 15p a glass. After dinner our waiter like everyone in Hoi An wanted to sell us something. We couldn’t even have dinner without a million people trying to sell us origami cards, peanuts or friendship bracelets. One little girl begged us to buy something so that her parents could afford to send her to school. 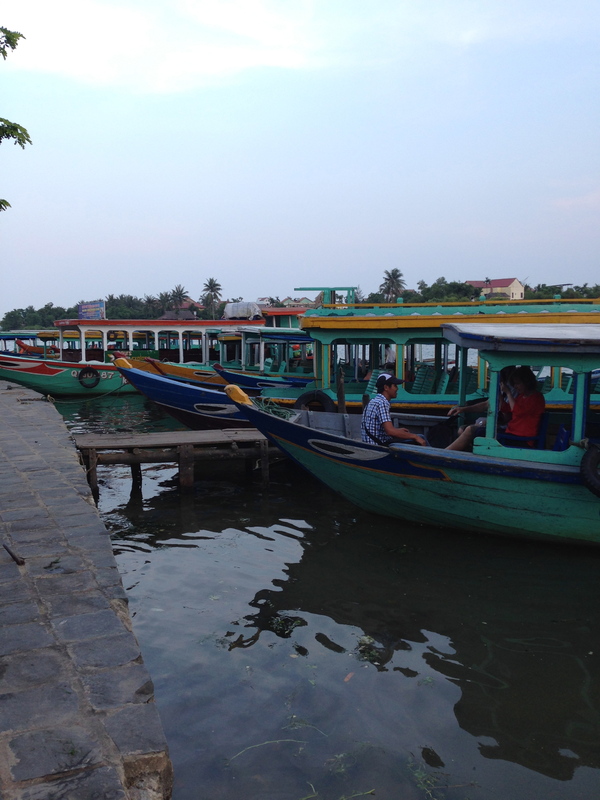 Anyway… our waiter asked us if we wanted to go on a tour of his fishing village the following day. We were a bit skeptical at first but he brought out several note books with written testimonies in every language going. 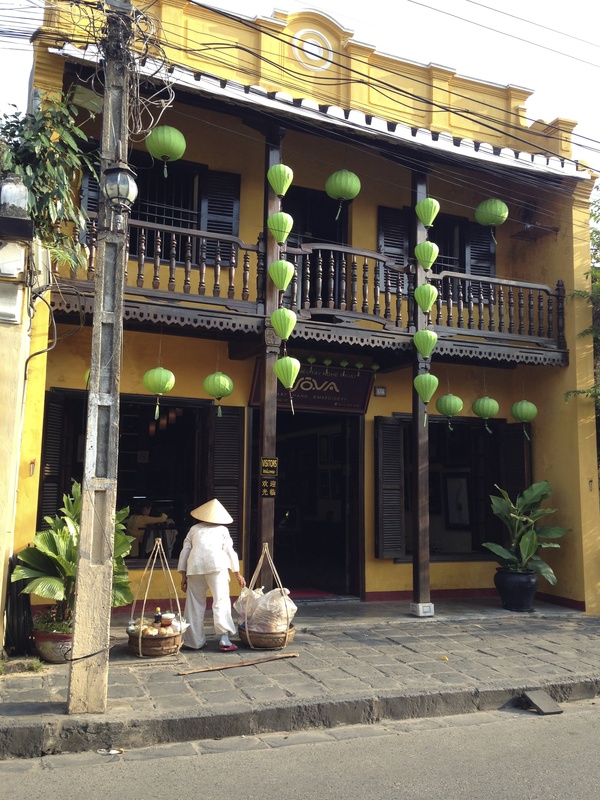 We decided to take a leap of faith and give our money to a local rather than a pushy hotel owner. ‘Bia Hoi’ – 15p a glass!